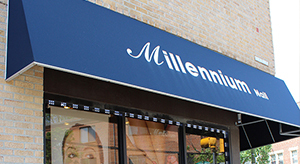 Welcome to Millennium Nail & Spa in Downtown Philadelphia on Germantown Ave, Pennsylvania. We are your best choice for superior nail care, with a warm, relaxing, and comfortable environment. Come experience our massage service, a treatment for your body which helps relieve chronic arthritis, joint stiffness, muscle spasms, and inflammation. We provide free parking space!